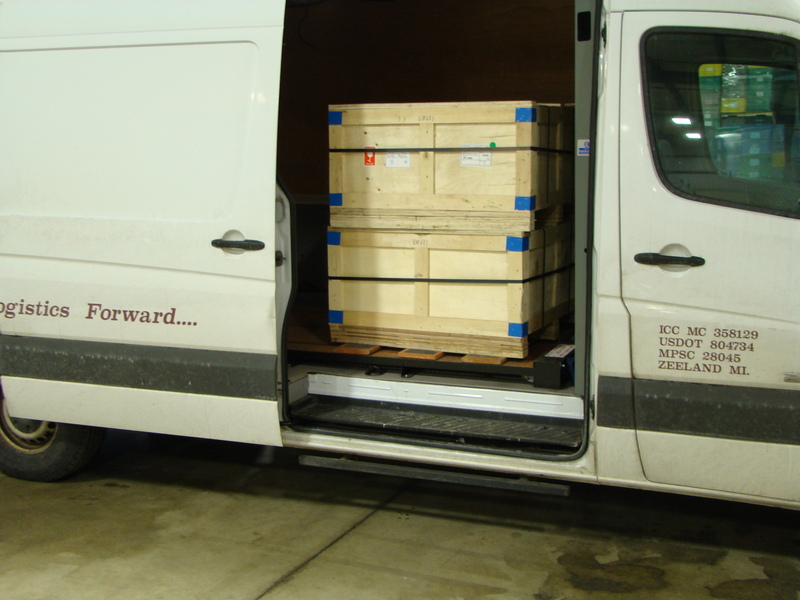 In the spring of 2009, Dave Barnett and Henry Mulder joined forces to design a new product that would make pallet handling and positioning safer and easier for freight courier and van logistic providers. While driving his shift for a local freight courier company, Henry envisioned a system that would increase the ease and safety of deliveries and reduce wear and tear on cargo vans. The system he created, the PowerDeck is a simple, pallet positioner that works with the push of a button unlike ball transfer systems. Henry teamed with Dave Barnett to bring the concept into production and the PowerDeck Pallet Handling System was born. After years of testing and regional sales to van logistics and pallet shipping companies, the PowerDeck was awarded a patent in 2013. The PowerDeck is manufactured by Barnett Manufacturing Co. in Holland, MI using a local, midwestern work force. Dave Barnett has had a fascination with building and designing since his childhood. He designed and built a Pinewood Derby car with his dad, and he was hooked. He graduated with a Mechanical Engineering degree from Michigan State University in 1981. Dave has thirty years of experience in design and manufacturing ranging from aerospace to clocks to specialty machinery. Dave’s company, Barnett Manufacturing Company, has developed multiple products that have sold nationwide within the material handling and manufacturing transportation markets. Sam Nichols recently joined the PowerDeck team to spearhead their national sales program. He is working with reps throughout North America to identify van logistics and freight courier companies that could benefit from adding the PowerDeck Pallet Handling system to their existing commercial van fleet. Sam personally handles inquiries with customers and dealers to ensure that each PowerDeck is built to meet the specific needs of the end user and fits the unique dimensions of the cargo van.